Ecology & Recycling | MOTOHIRO & CO., LTD.
Our commitments to recycle in order to protect our nature and environment with advanced technology. 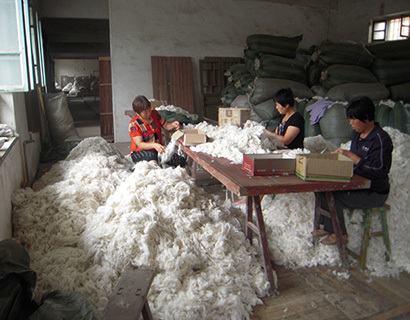 Woolen materials and raw materials for felt from recycling . Materials for spinning, which are later used in making blankets and coats, were originally produced by recycling wool waste by-product made in the process of combing or making wool tops. Spinning waste will be reused as yarn by gathering pieces of the same color or by rag opening. 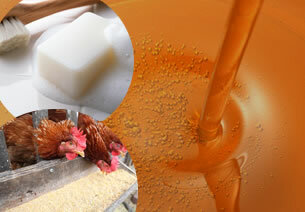 Wool waste by-product made in the process of making wool tops is called noil. 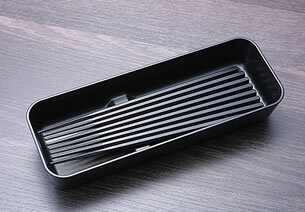 It can be reused as material for felt afer carbonzing noils. Wool is the ultimate ecological material because it becomes fertilizer, Moreover, lanolin can be taken from earth, sand and grease. Jiangyin Xingiao Sewage Disposal Co.,Ltd in China protects the environment. This factory is a joint sewage disposal between our company and the local government of the Xingiao District established when we started manufacturing wool tops in the district. 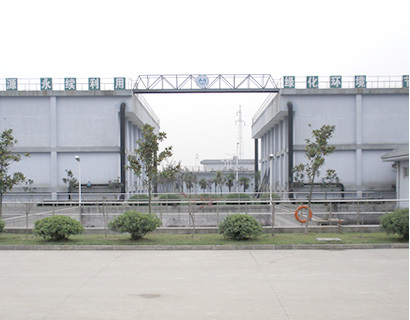 As we start manufacturing with the process of washing wool, our factory in Shenghai discharges liquid waste. The first sewage process takes place in the Shenghai factory, and the second in the new Xingiao factory. There are a number of fiber manufacturing companies such as JIANGSU SUNSHINE GROUP in the district, so the disposal of liquid waste discharged in the process of dyeing and clearance had been a public concern. Under the tougher restrictions in China, we are now able to deal with environmental problems by investing in this factory, which ensures us stable operations in our factories for a long period of time. The latest garbage disposal system turns garbage into fertilizer. 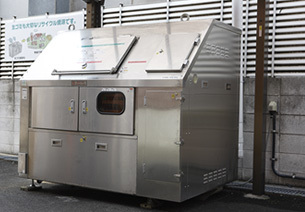 In order to reduce incineration garbage, one of the materials causing global warming, Bikkuri Donkey has introduced the latest garbage disposal system which can turn garbage into fertilizer by the process called “composting”　and has been using the fertilizer for farming. Bikkuri Donkey has introduced washable chopsticks which can be used many times instead of traditional bamboo chopsticks. As we keep in mind an ancient Japanese wisdom “Mottainai (Don’t waste. ),” we refrain from consuming natural resources and creating less garbage. We focus on recycling consumed oil.These reused oils are being recreated into Bio-Diesel Fuel (BDF), boiler fuel, soap and feed.